As with baseball, there are also exceptions to the “rules” we all know with cable plant installations. Take the 100-meter limitation for horizontal copper cabling channels with a 90-meter permanent link specified within industry standards. While you might think this is the rule, there are instances where it no longer applies. Let’s take a look at some. The 100-meter channel length rule refers to installations where the ambient temperature is 20°C (68°F). Heat can impact a cable’s electrical characteristics. DC resistance and insertion loss are two parameters significantly impacted by heat – for every 10°C increase in temperature, the insertion loss in UTP cable can increase by 4% for temperatures between 20 and 40°C and by up to 6% for temperatures between 40 and 60°C. So for cables installed at a temperature higher than 20°C, ANSI/TIA-568.2-D recommends that the length of the channel be reduced – referred to as de-rating. Just like the infield fly rule is there to maintain the performance of the game and prevent the double or triple play, de-rating is there to allow the cable to maintain its performance. It’s not just the ambient temperature that can require the cable channel length to be reduced. The delivery of Power over Ethernet (PoE) causes heat to rise within the cable due to the current flowing in the conductors. And as we move to higher power with the latest Type 3 and Type 4 PoE at 60 and 90 Watts respectively that energizes all four pairs, even more heat is generated. Studies show that a 50% increase in source current results in a 125% increase in the heat generated within a cable. In bundles of cables, the heat has difficulty dissipating, which is why TIA established de-rating profiles of temperature rise versus applied current per pair for category cables installed in 100-cable bundles. While there’s not much you can do about the umpire calling an infield fly, there are options for beating the heat and maintaining the 100-meter channel length. You can decrease your bundle size based on the recommendations in TIA-568.2-D, or eliminate bundles all together. Shielded cables also do a better job of dissipating heat – Category 6A UTP channels installed at 60°C need to be de-rated by about 18 meters, while Category 6A F/UTP only requires a derating of about 7 meters. Another option is to deploy cables that have a higher operating temperature (typically 75° or 90°C), or cables that carry the UL LP (limited power) rating. Conductor gauge can also cause an exception to the 100-meter channel rule. While larger gauge conductors handle heat better and can help reduce de-rating in hotter ambient temperatures and PoE deployments, smaller gauge cable has become popular for patch cords. The smaller gauge enables an overall smaller diameter to help improve airflow around active equipment and ease cable management at high-density patching areas due to reduced congestion and a smaller bend radius. TIA cabling standards have long referred to twisted-pair cabling that consists of 22 AWG to 26 AWG cables, but the latest 568-2.D standard now allows for 28 AWG patch cords – but not without yet another exception to the 100-meter rule. That’s because in addition to heat, DC resistance and insertion loss are also impacted by the conductor diameter—smaller conductors exhibit more DC resistance and insertion loss. To stay within the DC loop resistance channel limit of 25 Ω, the new TIA 568.2-D standard recommends keeping the length of 28 AWG patch cords in a channel to less than 15 meters, and vendors of 28 AWG patch cords specify a derating factor. With 15 meters of 28 AWG patch cords, the maximum channel length is typically reduced to about 88 meters depending on the de-rating factor. This isn’t typically a concern however since 28 AWG patch cords are primarily deployed in high-density patching areas in data centers where channel lengths tend to be well below 100 meters anyways. 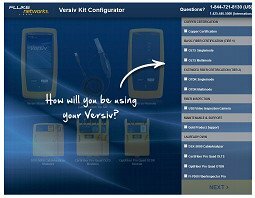 Whether you’re faced with installation in hotter environments (think of spaces above the ceiling in Arizona), delivery of higher-power PoE in bundles, or the use of smaller-gauge patch cords, it’s really all in your test results – you still need to pass insertion loss and DC resistance testing. If you don’t, you might just be faced with needing to accept an exception to the 100-meter rule. Unlike the infield fly rule that is 100% an umpire judgement call, thankfully in cabling standards, most conditions can be measured, and test results don’t lie. 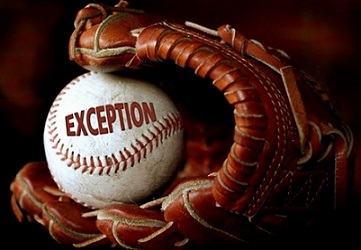 Some food for thought… If it’s true that there is an exception to every rule, then doesn’t the rule that says there’s an exception to every rule also have an exception, which technically proves the rule false? Perhaps there are no exceptions to rules at all – maybe it’s just the fact that rules are based on certain conditions, and when the conditions change, so does the rule.